There seems to be a curse in Europe where no team is capable of winning back-to-back Champions League titles. Real Madrid are determined to make history in Cardiff on June 3, but first, they'll have to go through Bayern Munich. Not only are Real Madrid in the driving seat for La Liga title, but the Merengues also made it safely through to the quarter finals of the Champions League, as they bid to become the first team in history to successfully defend the title. Zinedine Zidane's men saw off Italian side Napoli 3-1 in their second leg tie in Italy, eventually coming out on top with an aggregate score of 6-2. 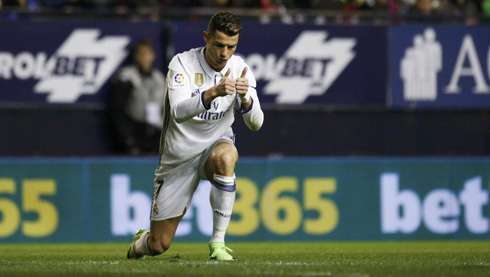 Even without Ballon d'Or winner Cristiano Ronaldo's goals, the Spanish giants saw off a side who sit in third position in the Italian top flight, with former Madrid man Jose Callejon unable to have too much effect for the home side. Ronaldo is now without a Champions League goal in over 600 minutes of action, the longest run of his career. 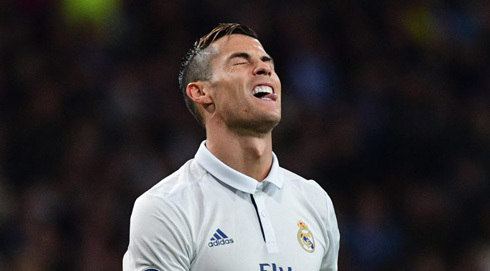 Despite this, bookmakers Betway Sports still make Real the second favourites to win the competition, with Ronaldo et al offered odds of 5/1 behind German champions Bayern Munich at 3/1, as of the 9th of March. Sergio Ramos continued his impressive goal scoring form this season, with the defender finding the back of the net twice at the Stadio San Paolo, with Alvaro Morata adding a third late on. 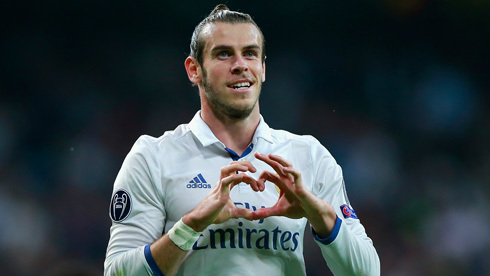 Real Madrid's chances of glory have been heightened thanks to the return to full fitness of Gareth Bale, with the Welshman scoring upon his return to action against Espanyol recently, before being sent off in a dramatic 3-3 draw with Las Palmas. The former Tottenham Hotspur man missed three months of game time through injury, and having scored against Atletico Madrid in the final of Europe's premier club competition back in 2014 in what was his first season with the La Liga giants, will be hoping to fire his team to the final in his homeland this year. Having already enjoyed many famous nights for Wales at the Millennium Stadium in Cardiff, it would be a fairy tale story for the winger, who is proud of his upbringing in the United Kingdom. With rivals Barcelona also in the quarter-finals after completing a miraculous comeback against PSG, they are together with Bayern the tipsters favorites to lift the title next June. As well as Bale's return, Sergio Ramos' return to action has come at precisely the right time, with the Spanish international having gone off in the second half of the game at the Bernabéu against Napoli with a hip injury. Real Madrid takes on the likes of Alavés and Leganés in the coming weeks, with Zidane set to once again take the opportunity to rest certain members of his squad. Elsewhere, and despite Ramos and Raphael Varane having been ever present for Madrid this season, Manchester City defender Nicolas Otamendi has been linked with a return to Spain. The player's agent has talked up a potential move to Madrid for the Argentine, with Portuguese Euro 2016 winner Pepe expected to move to the lucrative Chinese Super League this summer. Real Madrid have one of the best defensive records in La Liga, conceding just 28 goals from their 27 encounters, an asset that is also contributing to their success in Europe. Despite not having scored as many goals at this stage of the season compared to last year, Zidane will certainly be pleased with the position in which his team find themselves, having already lifted the Club World Cup title at the back end of 2016. In fact, Real Madrid are just 6/1 with Betway to win a La Liga and Champions League double. Elsewhere, despite having impressed over recent weeks, midfielder Isco could well be on his way out of Real Madrid this summer, with the playmaker reportedly having plenty of admirers, especially from the Premier League. The Spanish international made an influential cameo off the bench in Real's recent comeback at Villarreal, as well as making key contributions against Espanyol and Las Palmas over recent matches. Cristiano Ronaldo next game is a La Liga fixture, on April 2 of 2017 against Alavés. You can watch Juventus live stream, Real Madrid vs Alavés, Chelsea vs Crystal Palace, Manchester United vs WBA, Burnley vs Tottenham, and Liverpool vs Everton, all matches provided from our soccer streams game pages.